Since we got smart phones and our kids got tablets, there have been the sounds of certain upset avians being hurled at the not-so-nice pigs who stole their eggs. Of course, I’m referring to that mobile game: Angry Birds. Over the years, we’ve played all of the sequels, especially – given that we are Star Wars geeks – Angry Birds Star Wars I and II. When I first learned about Rovio’s latest Angry Birds game, via a video showing the opening battles during play tests in Australia and a couple other countries, my first reaction was pretty calm. Ok, ok, it was more like: "WHEN CAN I HAVE THIS? TODAY? HOW ABOUT NOW? NOW? NOW??!!!!! DON’T MAKE WAIT!!!!!!" Of course, I’m talking about Angry Birds Epic. 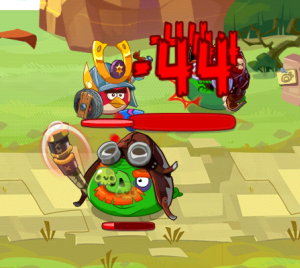 Angry Birds Epic starts like most Angry Birds games. The pigs have stolen the birds’ eggs and the birds want them back. The twist this time is that you don’t simply fling the birds at the pigs. In fact, there is no flinging at all. Instead, the game is more of a turn based RPG-style game. 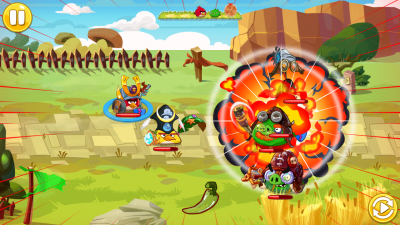 You use your birds’ offensive and defensive skills to win battles over countless pig foes. Along the way, you gain more bird allies, treasure, coins, and experience stars. Each bird has a slightly different attack and might be better suited to some battles over others. For example, pirate pigs tend to be immune to harmful effects, so Chuck the Wizard-bird’s acid rain attacks won’t cause the usual lasting damage after each turn. However, against the undead pigs, his skills can help hurt the pigs evenly so you don’t wind up knocking out one pig just to have it revive a few turns later as you tackle a second (or third or fourth) pig. The birds also have defensive capabilities. They can form shields to protect against damage, heal injuries, or even cause other birds to attack (in essence, trading their turn to a stronger bird and giving that bird two turns during that round). Each bird also has a "Rage Chili" ability. As you battle, damage you inflict – or that is inflicted on you – fills an initially empty chili pepper on the screen. Once the pepper is full, the rage chili is ready to be used. Drag it onto a bird and that bird will launch a powerful which ranges from healing all of your birds to a focused mega-attack to multiple strikes on many enemies. Using the rage chili wisely can be the difference between winning a battle and losing it. Do you use it to knock out a powerful enemy in one blow or heal your birds so that they last longer? As the battles progress, the birds will gain powerful weapons and new abilities. A bird has three basic items: It’s headgear, weapon, and shield. The headgear determines the bird’s class and thus what attacks/defensive moves it has. For example, Chuck’s mage hat lets him zap all pigs with lightning or protect birds with a "shock shield" that hurts any attacking pig. Meanwhile, his rainbird hat gives him acid rain and healing rain abilities. 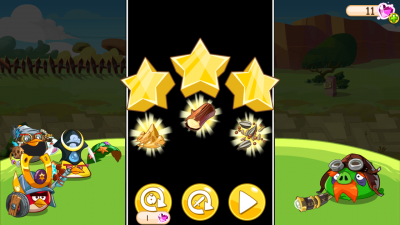 The weapons increase your attack power and gives possibilities for special bonus attacks (like dispelling a pig’s beneficial spell or chaining an attack across multiple pigs). Shields can increase a birds’ hit points and attack power. Sometimes the game can be frustrating. I hit into one zombie who could kill each of my birds with a single strike. 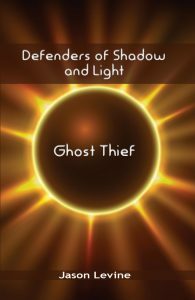 The secrets in these cases are to either go back and re-fight older battles to level up – increasing your attack power and hit points, to try a different combination of birds, or to try different bird classes. Maybe you should use the the blue birds should be used in trickster class instead of in rogue class. No battle is impossible. It might just take awhile to find the right combination of birds, class, experience level, and luck. This is quite a fun game and – having peaked at a full map of Piggy Island – I can see that there are a ton of battles ahead. The battles between bird and pig will definitely be raging on for quite some time in this house.